Afghan President Ashrf Ghani telephoned PTI Chairman Imran Khan and felicitated him on victory in general elections, according to PTI spokesman leader Naeem-ul-Haque. Haque said Ashraf Ghani invited Imran Khan to visit Kabul. “Khan accepted the invitation saying that he will visit Kabul after assuming office as Prime Minister,” he told reporters in Islamabad. Afghan President said that Pakistan and Afghanistan share a history of common culture and added that cooperation in this regard should be enhanced, he said. Ghani said that cricket is a popular game in Afghanistan due to Imran Khan as he was a great cricketer of the world. Ashraf Ghani also confirmed the telephone call on Twitter. I just spoke to @ImranKhanPTI and congratulated him on the victory in parliamentary elections. We both agreed to overcome the past and to lay a new foundation for a prosperous political, social and economic future of both countries #Afghanistan and #Pakistan. I extended an open invitation to Mr. Khan and he expressed his wishes to visit Kabul soon. 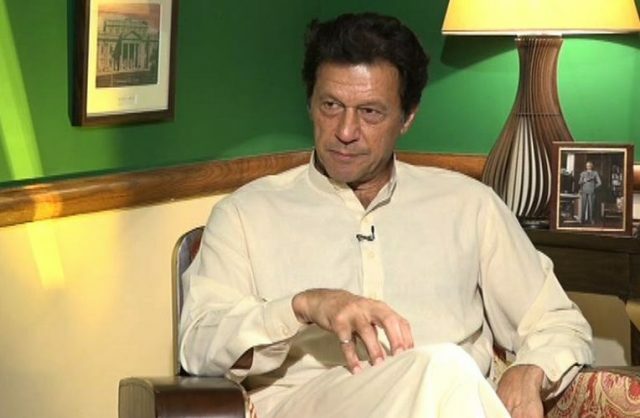 PTI has begun talks with independents and small parties to form a coalition government the center and Punjab, as rival parties planned protests over alleged vote rigging. PTI won 116 seats in Wednesday’s ballot, short of the 137 needed for a simple majority.